Passiv Pod - Sustainable buildings for leisure, learning and living. Passiv Pod - Sustainable buildings for leisure, learning and living. PassivPod is a new venture set up by Koru Architects and Strategic Management Partners centred on the concept design for a zero-carbon pod-shaped passivhaus that offers comfortable accommodation with an environmental conscience. 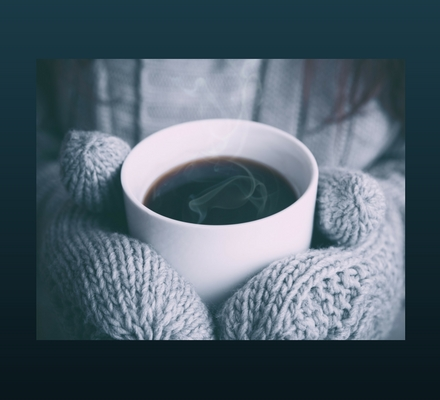 The PassivPod can have several different applications – for example as a luxury eco-lodge or holiday let in the leisure industry or as a school classroom module or even as a home. PassivPod is 100% renewable-powered and designed using the latest passivhaus and biophilic principles with a gentle visual impact that blends into the landscape. With floor-to-ceiling windows, an organic shape and natural materials, PassivPod provides a truly immersive experience. The PassivPod can have several different applications - for example as a luxury eco-lodge in the leisure industry or as a school classroom or even as a home. Tourism is a high-value, high-growth sector, and nature-tourism is its fastest growing segment. 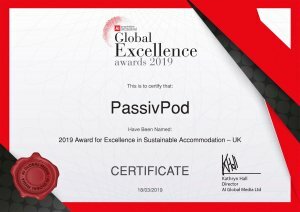 Its sustainability credentials and natural aesthetic makes PassivPod the ideal choice for eco-lodges or holiday lets in areas of natural beauty. Schools urgently need more capacity and biophilic design offers wellbeing, engagement and cognitive benefits to students. A PassivPod classroom module makes an ideal learning space. For people desiring a natural lifestyle, minimal utility costs and an unusual house design, the PassivPod would make a perfect home. 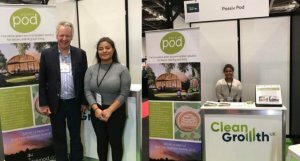 PassivPod is an affordable-luxury zero-carbon ‘pod-shaped’ building which is highly versatile, being easily adapted for several high-growth sectors. The design is uniquely beautiful and utilises state of the art biophilic and passivhaus design techniques, both trends which are growing in popularity, fast entering the mainstream. As an original and flexible design for what will become numerous high-value real estate assets, early investment in PassivPod is a fantastic opportunity.